Synopsis: This beginning chapter book bridges the timeless realms of earth and sea. Rhythmic sounds of the Hawaiian language are blended throughout, fostering phonic reading skills for 7-10 year olds. I am a poi dog, a mixed breed, from Hawaii. I love the smell of tropical flowers from my native land. The sweet smell of these flowers reminds me of the best adventure of my life and how I found a family of my own on the Big Island. 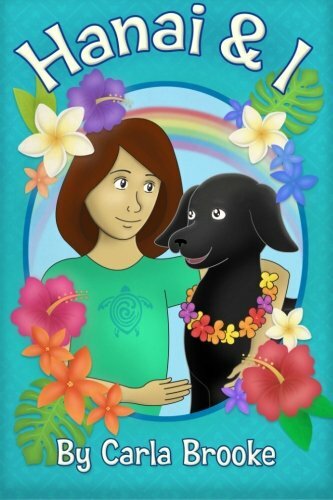 This is based on a true story, mixed in with flying dogs rising above steamy lava and ocean waves. About the Author&colon; Carla Brooke, M.A., is author of "Artfelt," a guide for children dealing with grief and loss. As a poet she wrote the libretto for the opera, "The Answering Machine" and also wrote the words for the musical compositions, "Angel of Peace," selected for the Oregon Bach Music Festival “Waging Peace through Music.” Carla’s writing is included in "Passing it on," a collection published by Insight Meditation Center.